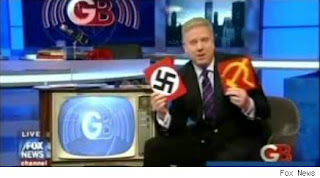 In a recent bit by Glenn Beck, he argued two things that proved his theological ineptitude and logical ignorance: 1) That the term used in Christian circles known as "social justice" is nothing more than a code word for communism, and 2) That if your church talks about "social justice", you should leave it. Clearly, Beck doesn't know what the heck he is talking about and most certainly, he has no idea how to make sense of the life of Jesus nor anything else the Bible says. From a logical standpoint, in my opinion, it is "almost" always dangerous to lump one group of people under one banner to try to explain them and/or what they are about. To use the term Christian, automatically requires some qualifications. To use the term Kentuckian or seminarian or engineer or nurse or author...all of these require some qualification to know exactly what we are talking about. So, to lump all churches who use the term "social justice" together is just fallacious. Are there some liberation theologians who may use this phrase to mean a sort of socialism or perhaps even communism, perhaps. Does that mean that every time someone uses it within a church or religious setting that's what it means? No! This is just logical ignorance on Beck's part. And to urge people to leave their church because the term "social justice" is used there is ignorant. Unless your church is cooking up some kind of conspiracy, don't let fear-mongering idiots like Beck influence you to leave your church. If anything, Beck is the one who has a conspiracy going on here! Just as well, when we read of Jesus' life and ministry, we cannot help but see that He was a man of social justice. He fed the poor, which is one aspect of what we call social justice. He tended to the sick, clothed the needy, congregated with outcasts, cared for children, loved the widow, etc...all things we call social justice. He spoke for the voiceless, taught the uneducated, challenged the corrupt socio-religious powers of his day, etc...again, all forms of social justice. Beck in his multi-splintered idiocy would be rebuked by Jesus for the statements he has recently made! Faith without works is dead...it is no faith at all. So, the real conspiracy here is that Beck is promoting theological ignorance and biblical illiteracy and a lifestyle that, well, in terms of faith, is dead. So, stay at your church, stop listening to and watching Beck, do social justice and follow the ways of Jesus. This, friends, is what a living, biblical faith looks like.